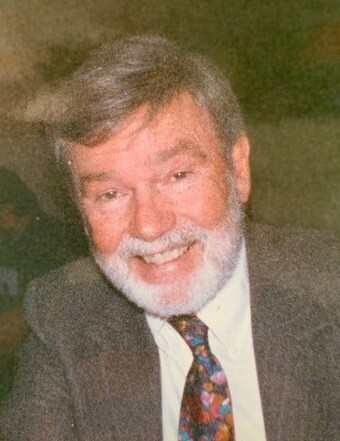 Dr. James Douglass Dixon, age 84, passed away from heart failure at his home in Broomﬁeld, Colorado on March 22, 2019. James is survived by his beautiful wife, Aloha, of almost 43 years (together for 47 years); sons, Hoku (Christi) Dixon and Kamalu Dixon; daughters, JoGwen Dixon, Jenifer (Geoﬀ) Hutchings, Liliu Latisha (Kyle) Mayeda and Tiara Dixon; sisters, Shirley (Wendell) West, Leslie (Lamont) Crabtree, and Elizabeth (Gary) Schroeder; his four beautiful grand children, Kyla, Anela, Kanoa, and Olivia; and many loved nieces, nephews, and extended family. James was a loved and adored father, husband, brother, grandfather, and friend to everyone. James was born December 15, 1934, in Salt Lake City, Utah and spent his childhood growing up in Payson, Utah. James started working in the family owned market “Dixon’s Market” when he was just a young boy. He was very active with family and LDS church activities. He was baptized at the age of 8 and has been dedicated to the church teachings ever since. In Jr. High and High School, James was very active in football, basketball, track, choir and speech/drama. He was 9th grade student body president and was very active in the Boy Scouts of America (received his Eagles scout by the time he was 18 years old). James graduated high school in 1953, and went on to BYU for his undergraduate degree. James had started dating Jackie Bingham in his senior year of high school and they were married by the 1st year at BYU. About 1.5 years after being married, James and Jackie had their ﬁrst child, JoGwen (7 years later, they had their 2nd daughter, Jenifer). During James’ college journey, he held many diﬀerent jobs. He worked in a retail men’s clothing shoppe, Keigley quarry as a churn drill helper, even found his way back to a grocery market just to make some extra money. Eventually, James found his ultimate passion in speech pathology/audiology. He graduated from BYU with his double major BA degree (major in speech pathology/audiology and minored in elementary education). During his senior year of college, he applied for a VA (veterans aﬀairs) training fellowship in audiology and was accepted. Him and the family travelled to New York City, Chicago, and Washington D.C for the fellowship. While he was in the last rotation, there was an opportunity at the University of Maryland for him to work towards his masters degree. James took a job working full time as an audiologist at the Walter Reed Army Medical Center while he obtained his double major Masters Degree in Audiology (major) and Speech Pathology (minor). James proceeded to work on obtaining his Doctorate Degree at the University of Oklahoma. After 1 year in the doctorate program at the University of OK, James decided he needed a break from the program and applied for, and got accepted, for a job at the Center for the Hearing and Speech in Portland, Oregon, as the Director of Audiology where he worked for 3 years. At that time, the Director of Speech and Hearing Center at the University of Washington came out to inquire if he was wanting to complete his Doctorate Degree as there was a fellowship that became available with the Department of Education. James was accepted into this fellowship and three years later, he ﬁnished his Doctorate in Speech Pathology and Audiology (by the time he was 30 years old). His dissertation was on a unique topic, it was a psychoacoustic study. This approach opened up an opportunity of a ﬁrst time fellowship at the VA hospital in Seattle, Washington. After this, James had many other opportunities that came his way. He took a job as Chief of Audiology at the VA hospital in Denver for 1 year, then took another job as Chief of Audiology at the Navel Hospital in California. After one year at the Navel Hospital, the Commissioner of the Health and Human Services reached out to James and oﬀered him a job as the Research and Development Specialist for the Department of Health and Human Services. James was hesitant to leave the audiology/speech pathology realm, but was happy to make the change. James worked for the Federal Government for 33 years. After James retired from the Federal Government, he still was enthusiastic with helping people. He had various jobs consulting, working with many Native American Tribes, and again found himself working at a grocery market for a brief period of time. James was a very driven, compassionate, goal oriented man who also loved his family with everything he had to oﬀer. There was a falling out from his ﬁrst marriage and during that time, he shifted his focus to his work and church activities while going through this diﬃcult life event. Around 5 years later, he met the love of his life, Aloha Eguchi, and they were married in 1976. James and Aloha had 6 children (a pair if twins were lost during the 5 months of gestation) Hoku, Liliu, Kamalu and Tiara. James and Aloha were foster parents for 20 years, and had the privilege of taking care of 50+ children in their home. To be able to make sure all of James’ family and friends are able to attend his memorial and celebration services, the date has been set for Saturday, May 18, 2019 at 1:00 p.m. at the Church of Jesus Christ of LDS, 13370 Lowell Blvd, Broomﬁeld, Colorado, 80020. James will then be laid to rest at the Broomﬁeld County Commons Cemetery, 12801 Sheridan Blvd, Broomfield, Colorado 80020. Following the burial services, there will be a luncheon provided by the gracious Relief Society Sisters back at the church. At that time, we would love to encourage family and friends to help us celebrate the life of such an amazing man. There's still time to send flowers to the Memorial Service at the Church of Jesus Christ of LDS at 1:00 PM on May 18, 2019.